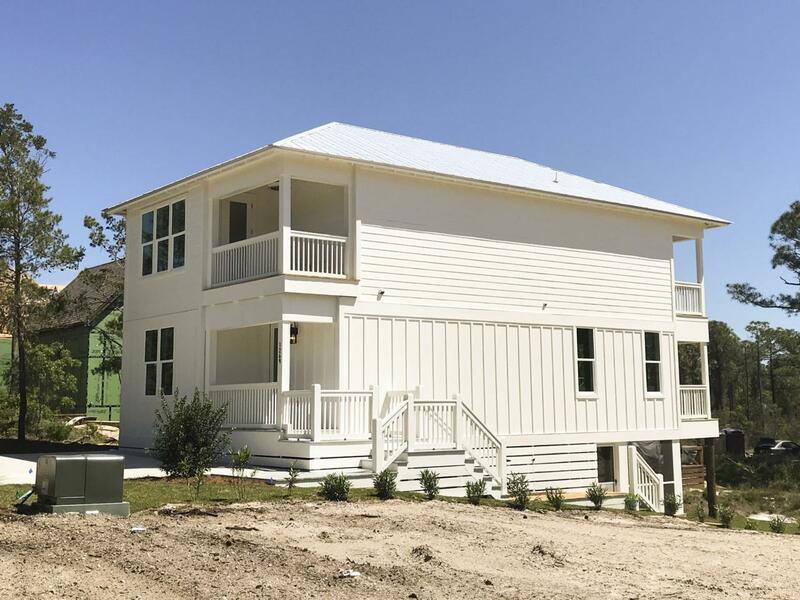 A brand-new home in the community of River Breeze near Gulf Place, just north of Scenic 30A! The two-story home features a wide foyer leading into the spacious, open living/dining and kitchen area--a great place for entertaining, especially with the large adjoining deck. A bedroom suite and/or office finishes out the first floor. 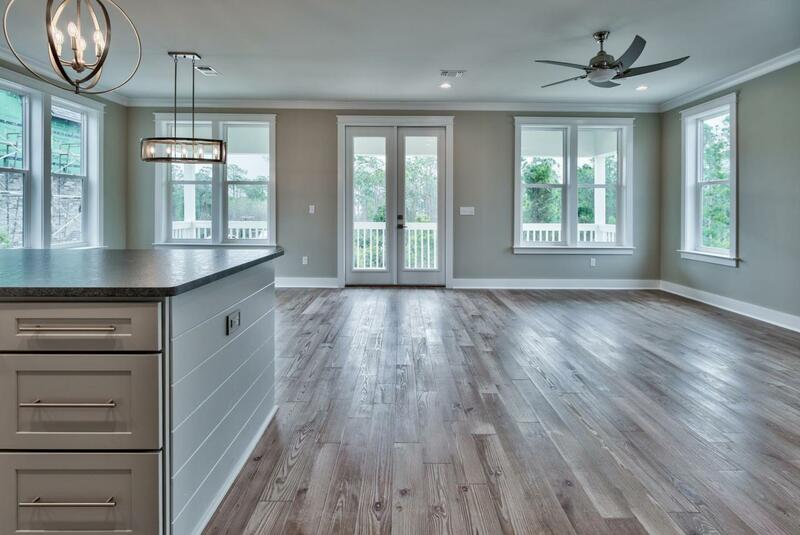 Finishes include wire-brushed hardwood floors, tile in the baths, granite countertops, and Bosch appliances.The second floor hosts the master suite plus two additional bedrooms. The incredible master features wood detailing, barn doors, a balcony, and an exquisite bath with large glass shower, dual vanities and bowl sinks. The other bedrooms share a bath and another beautiful deck overlooking the wooded ravine behind the home.Other pluses include Hardie-Plank siding, a metal roof, spray foam insulation, and a tankless water heater. A fully screened wood patio area under the home makes a nice place for relaxing in the shade, as well as a storage area for bikes and beach toys. 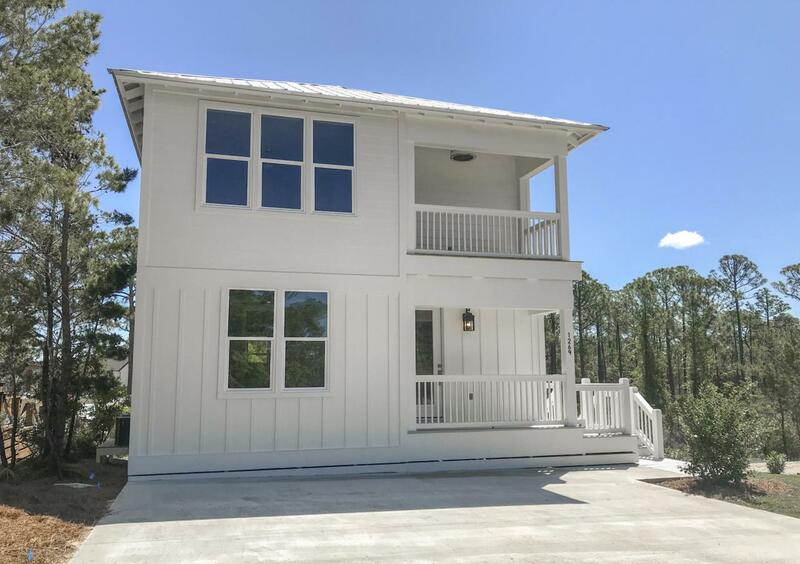 This property is just a short walk, bike ride, or golf cart drive to the restaurants and shopping of Gulf Place and 30A, as well as to the gorgeous white sand beach from the easy access point of Ed Wallene State Park! Make this your home base from which to enjoy the many highlights of South Walton and the entire Emerald Coast!